It has been a while since we saw Arya on the silver screen. He is back after a gap of more than a year, with Kadamban, which has hit the screens on this Tamil New Year (April 14th). If you had seen the trailer of Kadamban and if you have guessed the plotline of the film, congrats to you. You haven’t gone wrong. 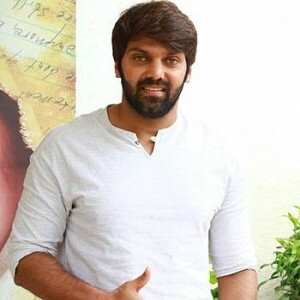 The film is all about the battle between a group of villagers in a forest, headed by Arya and a corporate business tycoon. Though the story might not be something new, the treatment and the visual experience, give you a good feel throughout. The director has taken some extra time to establish the characters (people of Kadambavanam). Right after the first song, the film starts to travel on the path of the core plot, and there aren’t many deviations. When the story takes place in a forest backdrop, animals are a must, and the director has wisely used them, wherever required. The climax sequence, involving a herd of elephants, is shot in such a way that it is convincing. Kudos to the entire team for pulling off that! The film’s subtle emotions about human relationships are dealt well, but a section of an audience might find it melodramatic. Thankfully, there aren’t any love portions in the second half, that definitely would have hindered the pace of the already averagely engaging film. The screenplay lacked intensity, was predictable, including the small twist towards the climax. There are a few worries here and there, but on the whole, it doesn’t look that bad, as a film. This movie looks to be Arya’s forte. The transformation of his chocolate boy look to a beefed up, muscular man is good and his stunt moves are extremely well done. He easily fits the bill. Catherine’s performance has been decent enough. Though there aren’t any romance in the latter half of the movie, she does have some screen time. Aadukalam Murugadass, Super Subbarayan, and the Kadambavanam people do what is expected of them. The villain, Deepraj Rana definitely could have been much better. The biggest pillar of the film is its visuals, by S.R.Sathish Kumar, which are spectacular. The aerial shots, which showcase the scenic beauty of the forest and its surroundings are a visual treat to watch out for. 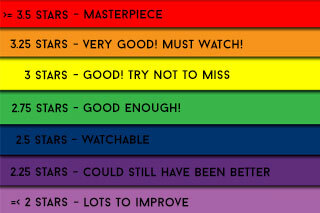 The colour pattern is also maintained throughout the film. The songs lack Yuvan’s touch, but the background score makes up for it, to an extent. Dev’s editing could have been used more precisely, as there are a lot of fill up shots, which aren’t of much value to the film. Had the Kodangi song and few other scenes been chopped off, we would get a more engaging film. The VFX is average, but with better production value and budget, that could have been done better. Executing a film based on forests, animals, and nature, needs immense clarity and dedication, and director Ragava has handled that with care. He hasn’t experimented anything new but has tried his best to give an emotional action entertainer with the given budget. Verdict: Kadamban is a watchable social drama. Uchimalai Azhagu sung by Mukesh, starts off like a tribal based song. It then slowly moves onto the folk genre dominated by percussions. The lyrics by Yugabharathi seem very well written. There are traces of instruments like the tribal fiddle to give the indigenous forest feel. The tune is not at it’s best but there is some level of nativity in the song. A love based melodious number rendered with the voices of Yuvan Shankar Raja and Sri Mathumitha. Yuvan’s voice is never a let down and Mathumitha has done a fair job with the vocals too. There is a good blend of the Sitar and guitar. However, there isn’t enough experimentation for Otha Paarvayil to make it a stand out melody. Saama Kodangi starts off with high energy percussions and just within a few seconds there is a transition back to the usual folk genre. Velmurugan is at his comfort zone singing these kind of folk numbers. Anitha tries to keep up her energy levels too in this number which is headed by the drums. A positive sounding number that has a good setting for a heavy dance sequence. A melancholy number by Yuvan Shankar Raja. The composer scores well with his strings and Ananthu adds the pain feel to the song. Yugabharathi gets some scope to portray his talents and he does well with the lyrics for this tragedy based song. Instruments have been kept simple and there is use of sitar, strings and a lingering drums in the background. 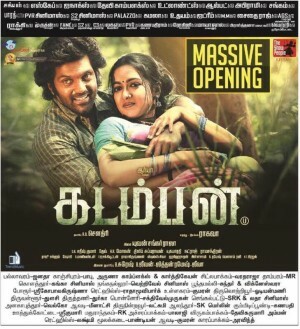 A situational number that has worked well for Kadamban. Ilaratham Sodera is a unity based song that talks about opposing something. 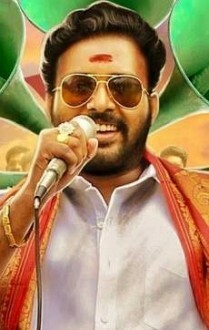 Vocals by MLR Karthikeyan are apt for this genre. It is fast paced and has some good use of instruments. The strings and programmed keyboard sound well in a mix. Lyrics are again meaningful and rhyme well. A number on the lines of Nimirndhu Nil from Saroja that has the feel good factor backed up by some good singing and fast paced music. 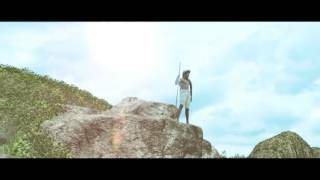 Verdict: A passable adventure by Yuvan for Kadamban that is just about competent! Suriya Gets Mobbed - NGK Shoot Cancelled! Pyaar Prema Kadhal's Box Office Verdict Is Out!!! Young Director Gets A Surprise Car Gift From Yuvan! Huge Update On This Anticipated Sequel! GV Prakash Gets A Big Stage For His Next! 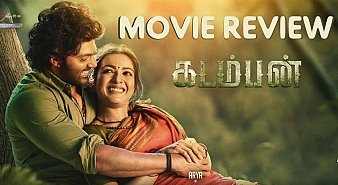 Kadamban (aka) Kadampan is a Tamil movie. Arya, Catherine Tresa, Deepraj Rana, Madhuvanti Arun are part of the cast of Kadamban (aka) Kadampan. 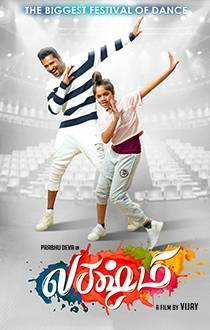 The movie is directed by Raghavan. 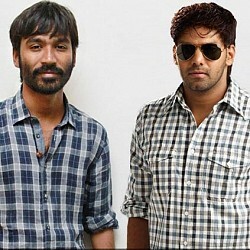 Music is by Yuvan Shankar Raja. Production by R. B. Choudary, cinematography by S.R.Sathish Kumar, editing by Deva.